Great for breads, donuts, and other bulk foods sold by weight. 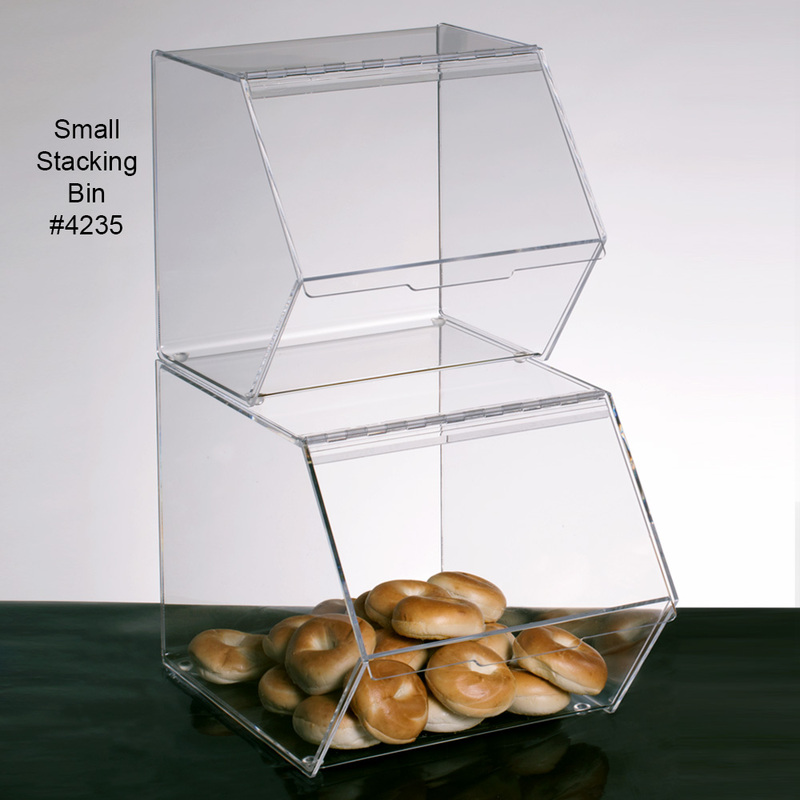 Utilize your countertop space with stackable food bins. 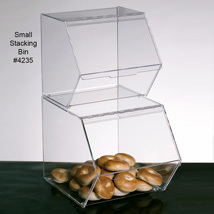 Made of food safe material, this storage bin will be great for bulk items such as candies and baked goods. Front flip open door provides easy access and keep food sanitary and fresh. It stacks securely on #4236 and on any table top with non-slip rubber feet bottom.